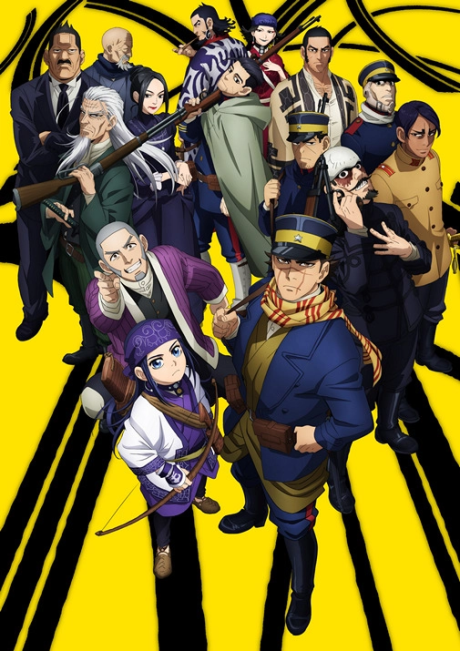 The second season of Golden Kamuy. The high-stakes search for gold continues in the harsh wilderness of Hokkaido! More and more people seek the treasure map, and the race to find its living pieces is brutal as all get-out. War veteran Sugimoto and his guide to the wilds, Asirpa, are hot on the trail, and as long as they stick together through thick and thin—chitatap and miso—they’ve got a shot at finding that gold.